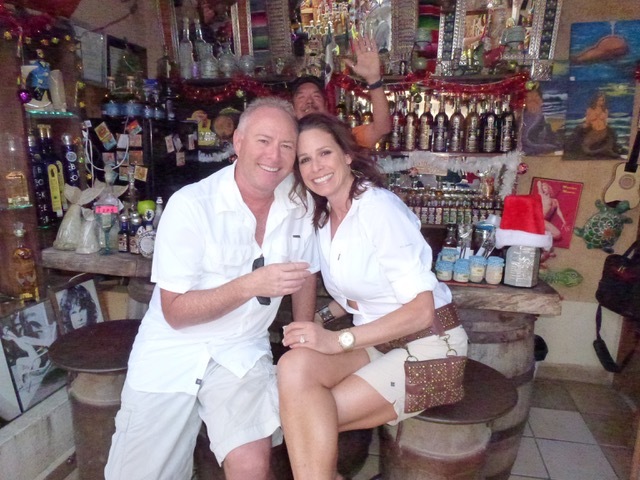 Marriage first-timers in their 50s, Treva and Robby did it all, dated it all, and lived to tell. With a combined 107 years of single life experience under their belts, Treva and Robby aren’t just dating survivors, they’re authorities on being single and finding love later in life. Now, they’re dating interventionists and creators of “DONE BEING SINGLE,” a dating advice podcast that gives listeners practical skills and tools to conquer single life and triumph at love. Unlike most dating experts, Treva and Robby don’t just offer empty platitudes and promises. They offer high-quality, test-driven expert opinion and guidance. From dating apps to dating gaffes, from getting a second date to getting laid, Treva and Robby come equipped with a toolbox of tips and tricks. They’re also bringing in the big guns: relationship experts, dating coaches, world renown therapists, doctors, personal growth influencers, intimacy specialists, and thought leaders of all kinds. If you’re done being single, then you’re ready for DONE BEING SINGLE. 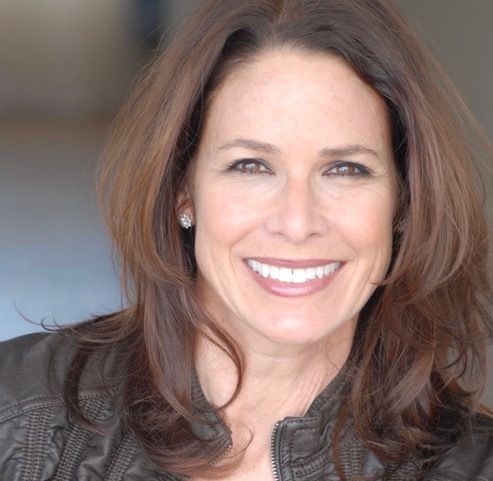 Treva Brandon Scharf is an ICF-certified professional life coach, dating coach, fitness professional, and writer. Treva started as an advertising copywriter at BBDO New York, and since then, has created content for multiple platforms including traditional, digital, and entertainment advertising, screenwriting, reality TV programming, web copy, and blogging. Her background in fitness spans over 35 years, first as a competitive athlete, then as a group fitness instructor and personal trainer. Treva currently runs her own successful private training business in Beverly Hills. She is a five-time marathoner, a 4.0 USTA tennis player, and a ranked CBVA beach volleyball player. After getting married for the first time at the age of 50, Treva started a whole new chapter of her life. To document her journey, she created “The Late Blooming Bride,” a blog that imparts wit and wisdom about dating, being single and finding love later in life. As an established dating advice writer, Treva regularly contributes to Huffington Post, MidlifeBoulevard, Hollywood Progressive, BetterAfter50, Older-DatingUK, CurvesConnect, and Relationship Development & Transformation. Treva is also a popular guest on personal growth podcasts, where she shares her dating wisdom and insights. Treva’s been a featured speaker and moderator on the subject of female empowerment at the Motion Picture Television Fund’s Deal With It Women’s Conference, the BAM Bloggers At Midlife conference, and at the 2018 AVAIYA Healthy Relationships Online Conference. 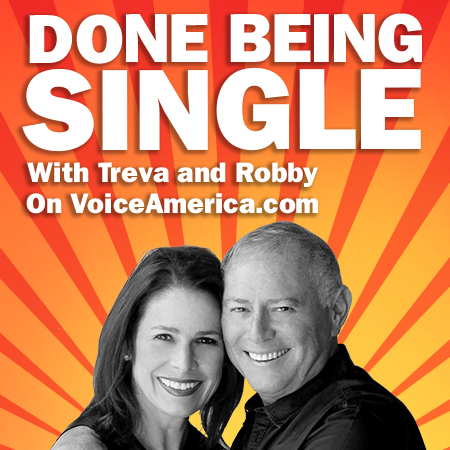 Treva co-hosts the podcast “Done Being Single,” with her husband Robby, on the VoiceAmerica Talk Radio Network. When Treva isn’t dispensing tough love advice, and helping clients achieve their personal best, she volunteers as a Fulfillment Fund mentor for at-risk kids, and coaches Special Olympics. Treva is passionate about politics, policy, and people of all ages and abilities. Whatever the cause or project, Treva always works for the highest good. Robby Scharf has been involved with music since he was a young boy. It’s in his blood, you could say. His grandfather, Harry Scharf, played live percussion for silent films in Newark, NJ. His father, Eddie Scharf, played drums in The Catskills as a young teenager, and Robby started playing bass in bands starting at 14. One of his first bands was Longfellow, which featured a young Shaun Cassidy on lead vocals. Robby studied music at the famed Berklee College of Music in Boston. Robby was signed to Warner Bros. Records in 1979 with the Santa Barbara band, D.B. Cooper. 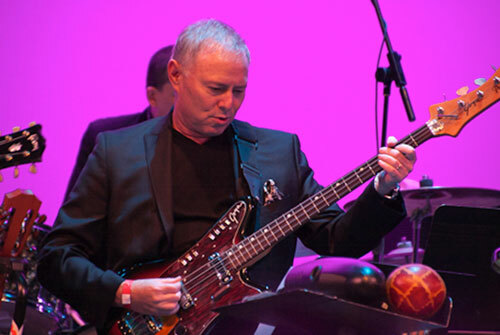 He has played bass for Jim Messina, Jan & Dean, The Beach Boys, Brian Wilson, The Pranks, The Cowsills, and sings and plays with The Wild Honey Orchestra. Along with Robby’s creative side, is also a passion for the business side too. He has worked with the Artist Management firm, Patrick Rains & Associates. As Manager of A&R at PRA, his clients included Al Jarreau, David Sanborn, Aimee Mann, Marcus Miller, Joe Sample, The Crusaders, Wendy & Lisa, Breakfast Club, Gino Vannelli, Vonda Shepard, Charm Farm, & Jon Brion. As President of Music at Hemdale Communications, Robby re-versioned foreign animation for the American market, which involves stripping the audio track from existing animation and rebuilding it from scratch. All the while, Robby was composing and supervising music for films, including 14 documentaries for Cancervive, a non-profit organization helping survivors of cancer. Robby’s in his 32th year of coaching Special Olympics, and is always looking to make a difference in people’s lives. As a young musician and talent manager, Robby toured and traveled the world, but when he was in his mid-50s, he found Treva, the love of his life, right where he grew up: Beverly Hills, CA. They married in May, 2014, and a few years later, they gave birth to the internet radio show, DONE BEING SINGLE, on the VoiceAmerica Talk Radio Network’s Empowerment Channel.